The good: Research on mice has shown that raspberry ketones promote weight loss. The bad: It increases your metabolic rate at the expenses of causing side effects such as jitters and lack of sleep. The bottom line: Methyl Ripped includes many ingredients that are not tested and it does not specify the quantity of ingredients used. Considering its cost, it is better to look for better alternatives. 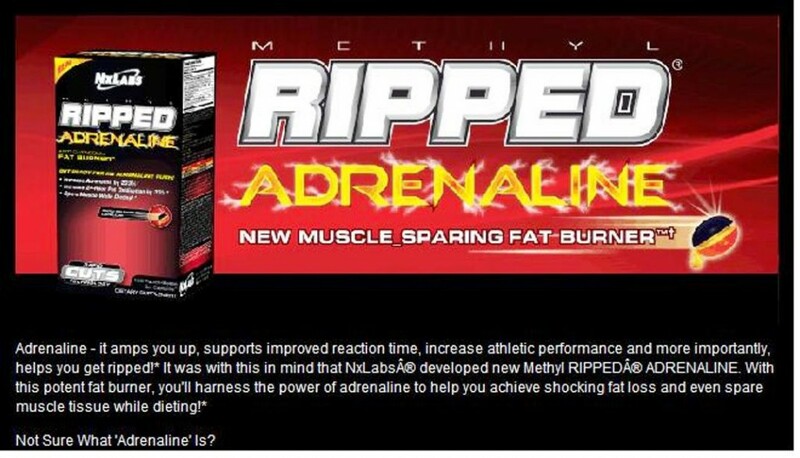 According to the Methyl Ripped website, it is a weight loss and body building formula which is “designed for bodybuilders who want to lose fat as fast as possible, while maintaining muscle”. The manufacturers also claim that some of the ingredients used in their formula have never been used before in the bodybuilding business. This is a quite usual weight loss supplement that has a few weight loss inducing ingredients but does not reveal the quantity of each ingredient included. With this it is not possible to verify that the ingredients are present in the right amounts to make this formula effective and guarantee weight loss. CLENADRINE™ (Extreme Thermogenic Complex) 900mg : Di-Caffeine Alpha-Ketoglutarate, Di-Caffeine Malate, Esterified Green Tea Extract [Standardized For 45% Epigallocatechin Gallate (EGCG) Ester, 2% Epicatechin Gallate (ECG) Ester, 2% Gallocatechin Gallate (GCG) Ester, 1% Catechin Gallate (CG) Ester], Salix Matsudana, Isohumulones, Evodiamine HCL, Octopamine HCL, Tyramine HCL. CYTO-T3™ (Xtreme Thyroid Stimulating Complex) 50mg: Bacopa Monnieri, Gugglesterones E&Z HCL. DNP-X™ (Uncoupling Protein Complex) 50mg: S-Allyl-L-Cysteine, (E)-N-[(4-Hydroxy-3-Methoxyphenyl) Methyl]-8-Methyl-6-Nonenamide. CC-VOL™ (Cortisol Control Complex) 50mg: Ashwagandha, Phosphatidylserine, Beta-Sitosterol, Theanine. CYCLO-AMP™ (Xtreme Cyclic AMP Stimulating Complex) 50mg : Clary Sage Extract, Forskolin, CAMP, Amentoflavone. Betadrol™ (Receptor Upregulating Complex) 50mg: Raspberry Ketone, DNA, RNA, Crataegus Monogyna. The manufacturers claim that including Di-Caffeine Alpha-Ketoglutarate makes this supplement different.. However, no research has been done on Di-Caffeine Alpha-Ketoglutarate. DiCaffeine Malate is a mixture of caffeine and malic acid. Malic acid helps to convert fats, proteins and carbohydrates into carbon-dioxide and water. This provides energy to the body. However, DiCaffeine Malate increases your metabolic rate at the expenses of causing side effects such as jitters and lack of sleep. Research on mice has shown that raspberry ketones promote weight loss but no research has been conducted on humans. Also, the supplement fails to mention the quantity of raspberry ketones used in the formula, so it is not possible to find out if the quantity present is sufficient enough to help weight loss. Gugglesterones are thought to increase thyroid function which aids weight loss but there are conflicting study results to prove its effectiveness. Studies have shown that consuming 250 mg of 10% coleus forshkohli (Forskolin) extract twice a day for 12 weeks helps to increase bone mass and testosterone levels in overweight and obese people. But the quantity of Forskolin present in Methyl Ripped is only 50 mg which is not sufficient enough to provide adequate results. Green Tea helps in weight loss but the quantity included in the supplement is not mentioned, so its effectiveness cannot be proved. Bacopa Monnieri is beneficial in the treatment of epilepsy and asthma treatment. It also has anti-anxiety properties. The possible side effects of Methyl Ripped are bloating, abdominal cramps, headaches, jitters and difficulty in sleeping. The price for 120 softgels is $35. The recommended dosage is 6 softgels a day, so one bottle lasts for 20 days. This means $52.50 a month which is quite costly considering the availability of better options. 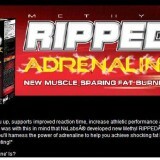 Methyl Ripped includes many ingredients that are not tested and it does not specify the quantity of ingredients used. Considering its cost, it is better to look for better alternatives.